Pocahontas was a Powhatan Native American woman, born around 1595, known for her involvement with English colonial settlement at Jamestown, Virginia. 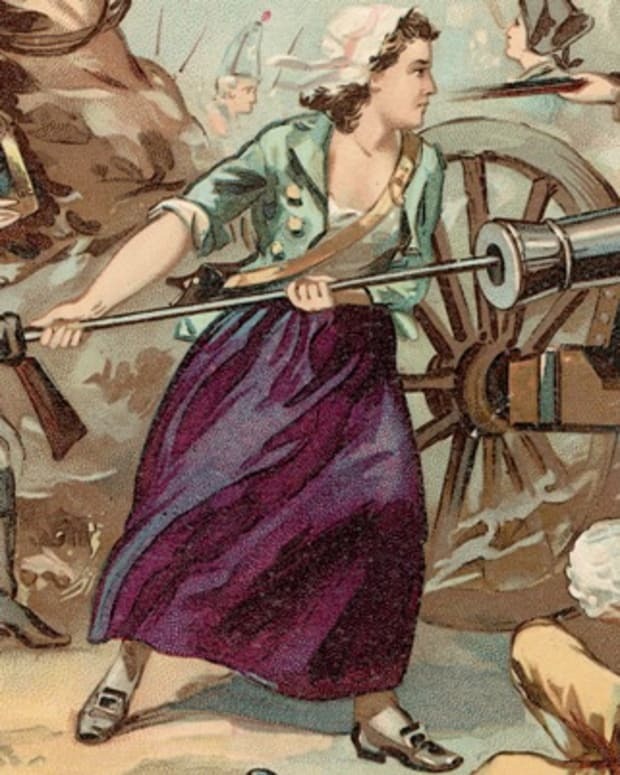 In a well-known historical anecdote, she saved the life of Englishman John Smith, by placing her head upon his own at the moment of his execution. Pocahontas later married a colonist, changed her name to Rebecca Rolfe and died while visiting England in 1617. 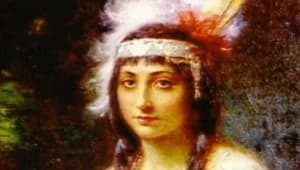 Pocahontas was the daughter of Powhatan, the leader of an alliance of about 30 Algonquian-speaking groups and petty chiefdoms in Tidewater Virginia known as Tsenacommacah. Her mother’s identity is unknown. Historians have estimated Pocahontas’ birth year as around 1595, based on the 1608 account of Captain John Smith in A True Relation of Virginia and Smith’s subsequent letters. Even Smith is inconsistent on the question of her age, however. Although English narratives would remember Pocahontas as a princess, her childhood was probably fairly typical for a girl in Tsenacommacah. Pocahontas was a favorite of her father&apos;s -- his "delight and darling,” according to the colonist Captain Ralph Hamor -- but she was not a princess in the sense of inheriting a political station. Like most young females, she learned how to forage for food and firewood, farm and building thatched houses. As one of Powhatan’s many daughters, she would have contributed to the preparation of feasts and other celebrations. Like many Algonquian-speaking Virginia Indians of the period, Pocahontas probably had several names, to be used in various contexts. Early in her life she was called Matoaka, but was later known as Amonute. The name Pocahontas was used in childhood, probably in a casual or family context. Pocahontas was primarily linked to the English colonists through Captain John Smith, who arrived in Virginia with more than 100 other settlers in April 1607. The Englishmen had numerous encounters over the next several months with the Tsenacommacah Indians. 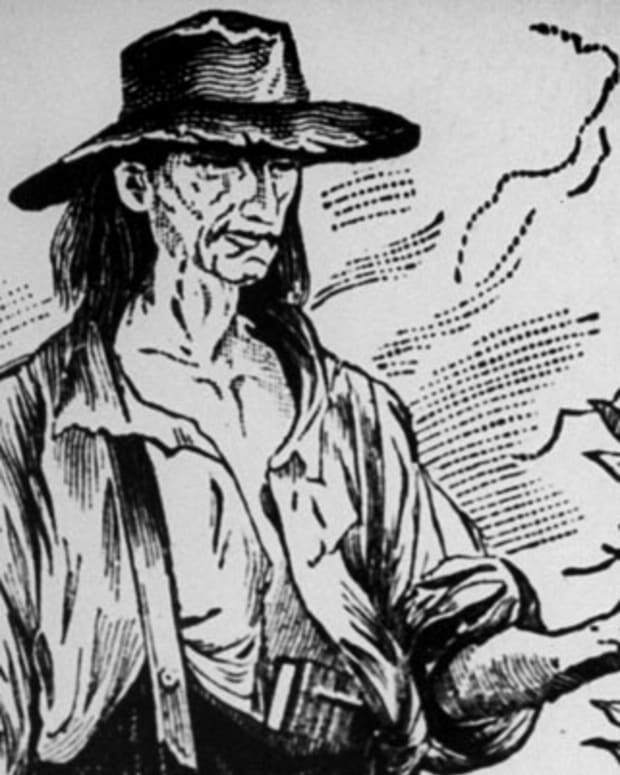 While exploring on the Chickahominy River in December of that year, Smith was captured by a hunting party led by Powhatan&apos;s close relative Opechancanough, and brought to Powhatan&apos;s home at Werowocomoco. The details of this episode are inconsistent within Smith’s writings. In his 1608 account, Smith described a large feast followed by a talk with Powhatan. In this account, he does not meet Pocahontas for the first time until a few months later. 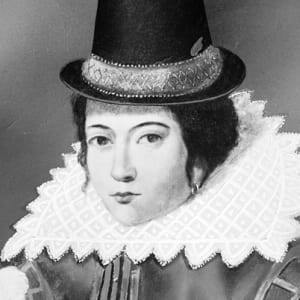 In 1616, however, Smith revised his story in a letter to Queen Anne, who was anticipating the arrival of Pocahontas with her husband, John Rolfe. Smith’s 1616 account describes the dramatic act of selflessness which would become legendary: "... at the minute of my execution", he wrote, "she [Pocahontas] hazarded the beating out of her own brains to save mine; and not only that, but so prevailed with her father, that I was safely conducted to Jamestown." Smith further embellished this story in his Generall Historie, written years later. Historians have long expressed doubts that the story of Pocahontas saving Smith occurred as told in these later accounts. Smith may have exaggerated or invented the account to enhance Pocahontas&apos;s standing. Another theory suggests that Smith may have misunderstood what had happened to him in Powhatan&apos;s longhouse. Rather than the near victim of an execution, he may have been subject to a tribal ritual intended to symbolize his death and rebirth as a member of the tribe. It is possible that Powhatan had political motivations for bringing Smith into his chiefdom. Early histories establish that Pocahontas befriended Smith and assisted the Jamestown colony. Pocahontas often visited the settlement. When the colonists were starving, "every once in four or five days, Pocahontas with her attendants brought him [Smith] so much provision that saved many of their lives that else for all this had starved with hunger." Despite this connection, there is little in the historical record to suggest a romantic link between John Smith and Pocahontas. In late 1609, John Smith returned to England for medical care. The English told the Indians that Smith was dead. According to the colonist William Strachey, Pocahontas married a warrior called Kocoum at some point before 1612. Nothing more is known about this marriage, which may have dissolved when Pocahontas was captured by the English the following year. Pocahontas&apos; capture occurred in during the First Anglo-Powhatan War. Captain Samuel Argall pursued an alliance with the Patawomencks, a northern group of dubious loyalty to Powhatan. Argall and his indigenous allies tricked Pocahontas into boarding Argall&apos;s ship and held her for ransom, demanding the release of English prisoners and supplies held by Powhatan. When Powhatan failed to satisfy the colonists’ demands, Pocahontas remained in captivity. Little is known about Pocahontas&apos; year with the English. It is clear that a minister named Alexander Whitaker instructed Pocahontas in Christianity, and helped her to improve her English through reading the Bible. 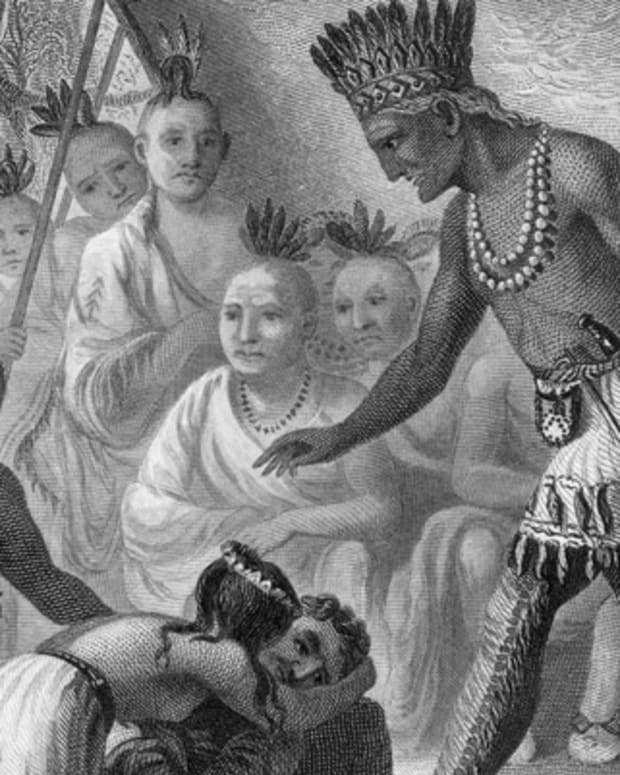 Whitaker baptized Pocahontas with a new, Christian name: Rebecca. The selection of this name may have been a symbolic gesture to the Rebecca of the Book of Genesis who, as the mother of Jacob and Esau, was the mother of two nations. In March 1614, violence broke out between hundreds of English and Powhatan men. The English permitted Pocahontas to talk to her father and other relatives as a diplomatic maneuver. According to English sources, Pocahontas told her family that she preferred to remain with the English rather than returning home. Pocahontas met John Rolfe during her year in captivity. Rolfe, a pious farmer, had lost his wife and child on the journey over to Virginia. In a long letter to the governor requesting permission to wed Pocahontas, he expressed both his love for her and his belief he would be saving her soul through the institution of Christian marriage. Pocahontas&apos; feelings about Rolfe and the marriage are unknown. 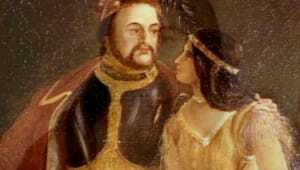 Rolfe and Pocahontas married on April 5, 1614, and lived for two years on Rolfe&apos;s farm. On January 30, 1615, Pocahontas gave birth to Thomas Rolfe. According to Ralph Hamor, the marriage created a period of peace between the colonists and Powhatan. Pocahontas became of symbol of Indian religious conversion, one of the stated goals of the Virginia Company. The company decided to bring Pocahontas to England as a symbol of the tamed New World "savage.” The Rolfes traveled to England in 1616, arriving at the port of Plymouth on June 12 with a small group of indigenous Virginians. 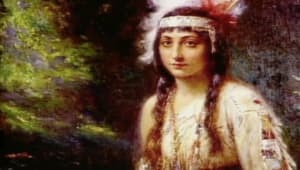 Although Pocahontas was not a princess in the context of Powhatan culture, the Virginia Company nevertheless presented her as a princess to the English public. The inscription on a 1616 engraving of Pocahontas, made for the Virginian Company, read: "Matoaka, alias Rebecca, daughter of the most powerful prince of the Powhatan Empire of Virginia." In March of 1617, the Rolfes boarded a ship to return to Virginia. The ship had only gone as far as Gravesend when Pocahontas fell ill. She was taken ashore, where she died, possibly of pneumonia or tuberculosis. Her funeral took place on March 21, 1617, in the parish of St. George&apos;s. The site of her grave was probably beneath the chancel of St. George’s, which was destroyed in a fire in 1727. Members of a number of prominent Virginia families trace their roots to Pocahontas and Chief Powhatan through her son, Thomas Rolfe. Very few records of the life of Pocahontas remain. The only contemporary portrait is Simon van de Passe&apos;s engraving of 1616, which emphasizes her Indian features. 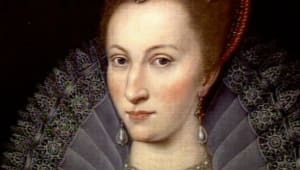 Later portraits often portray her as more European in appearance. 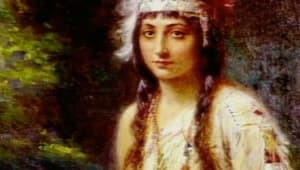 The myths that arose around Pocahontas&apos; story in the 19th century portrayed her as an emblem of the potential of Native Americans to be assimilated into European society. The imagined relationship between John Smith and Pocahontas romanticizes the theme of assimilation, and dramatizes the meeting of two cultures. Many films about Pocahontas have been made, beginning with a silent film in 1924 and continuing into the 21st century. She is one of the best-known Native Americans in history, and one of only a few to appear regularly in historical textbooks. 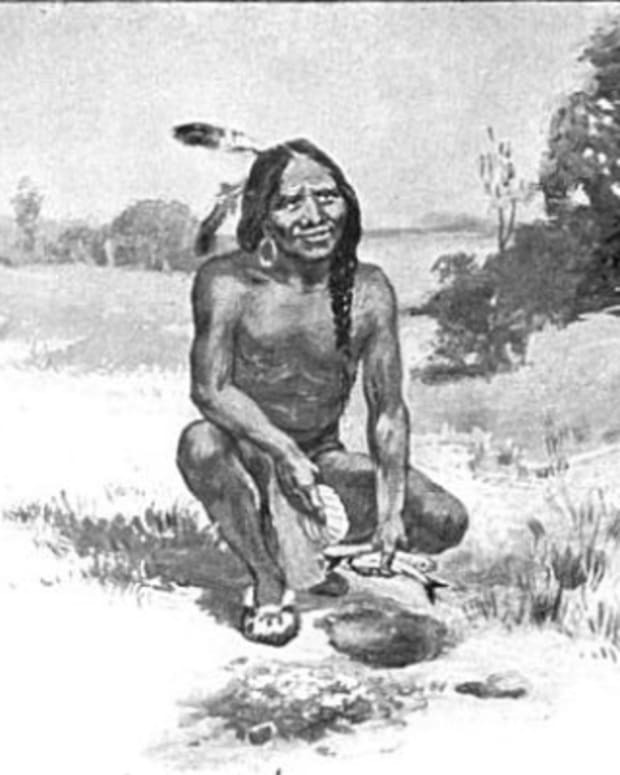 Squanto, also known as Tisquantum, was a Native American of the Patuxet tribe who acted as an interpreter and guide to the Pilgrim settlers at Plymouth during their first winter in the New World. 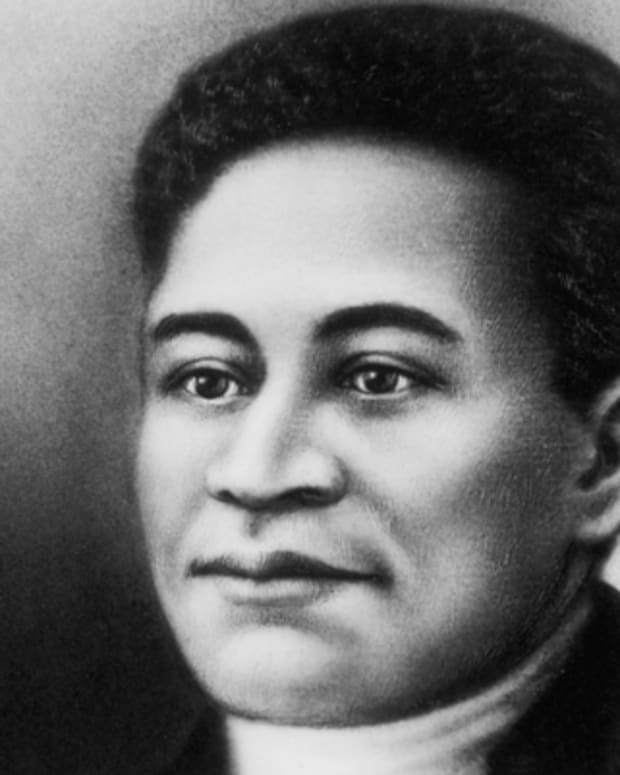 Crispus Attucks was an African-American man killed during the Boston Massacre and thus believed to be the first casualty of the American Revolution. Johnny Appleseed is a folk hero based on frontier nurseryman John Chapman, who established orchards throughout the American Midwest. 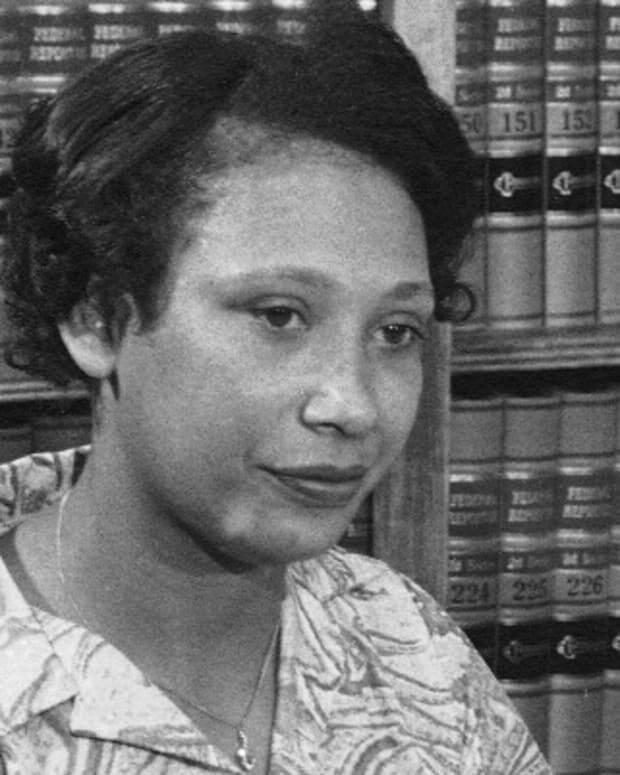 In 1967, Mildred Loving and her husband Richard successfully defeated Virginia's ban on interracial marriage via a famed Supreme Court ruling that had nationwide implications. 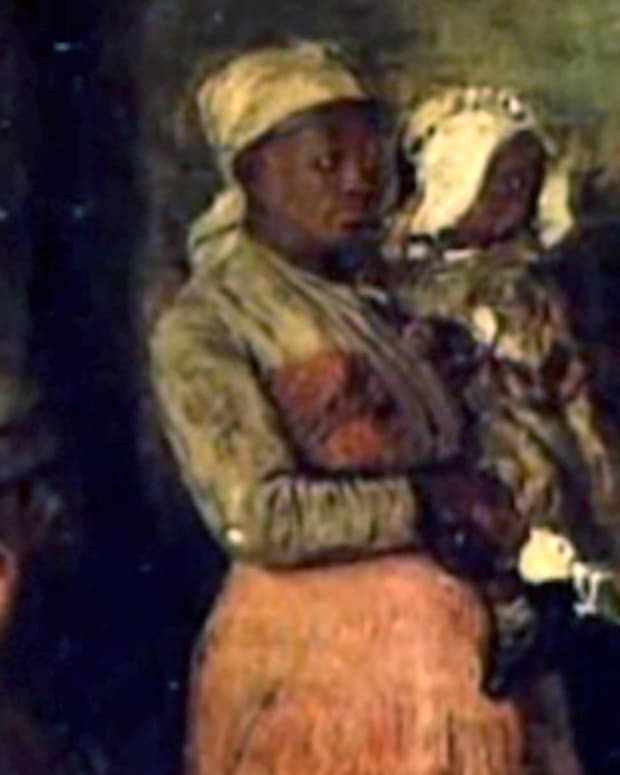 Sally Hemings was an enslaved African-American woman who’s believed to have had several children with one-time U.S. president Thomas Jefferson. 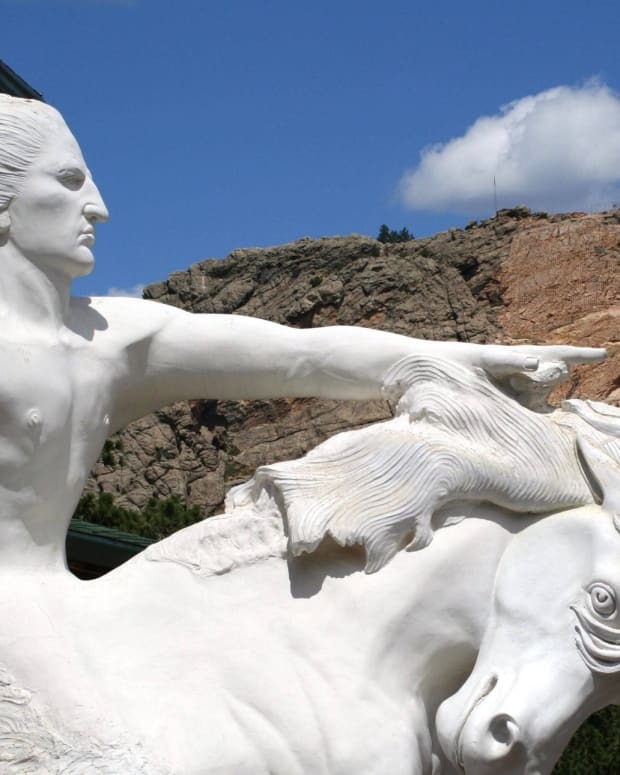 Crazy Horse was an Oglala Sioux Indian chief who fought against removal to an Indian reservation. 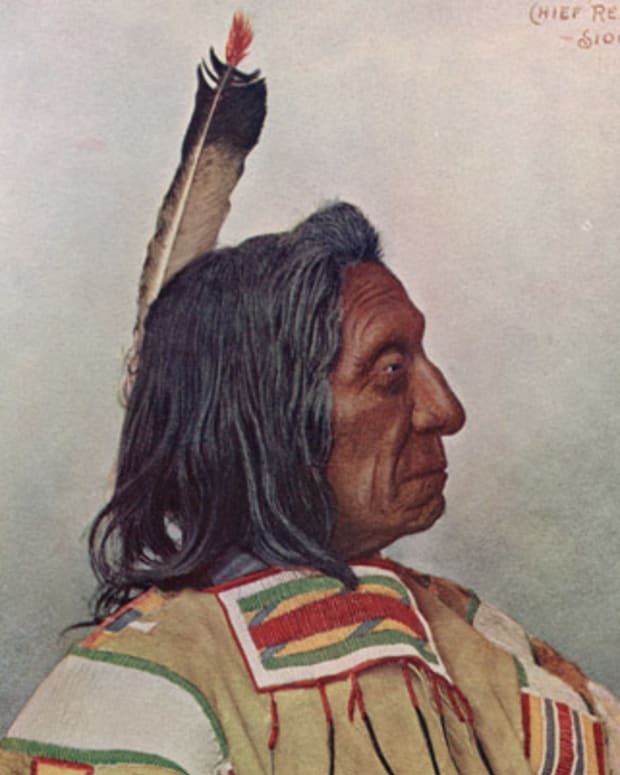 He took part in the Battle of Little Big Horn.